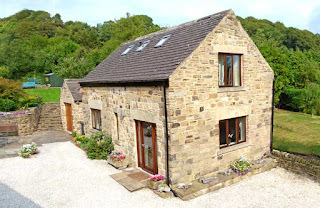 Tick Tock Cottage is situated in the village of Baslow, about four miles east of Bakewell. This is considered to be the centre of the Peak District National Park. At this holiday cottage you can enjoy some of the UK's very best scenery. 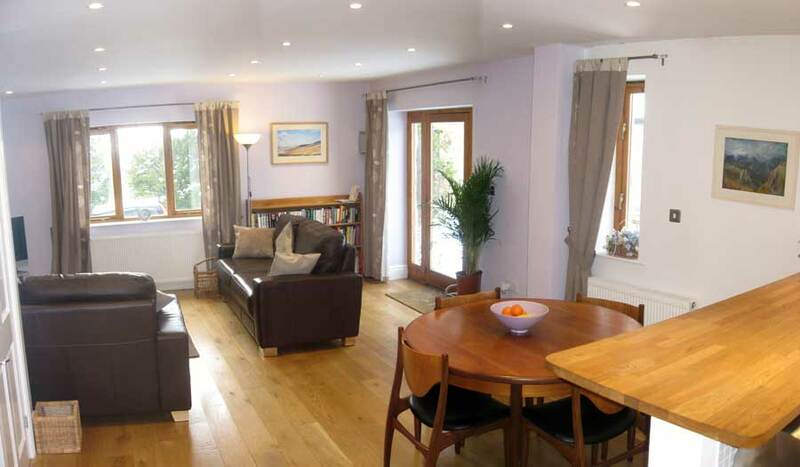 The cottage is maintained to a very high standard in a clean contemporary style. Downstairs there is a lounge area with solid oak flooring, leather sofas and chair, a dining area with circular table and four chairs, a fully equipped kitchen, a utility room & a toilet. Upstairs there is a master bathroom & two bedrooms, both with super king beds that can also be unzipped to make two 6'6" singles. Outside there is a stone flagged patio with table, chairs, patio heater & BBQ. Guests can make use of a secure garage for mountain bikes and storage if needed. Up the stone steps there is a private lawn surrounded by high beech hedge, flower and shrub beds, south west facing. 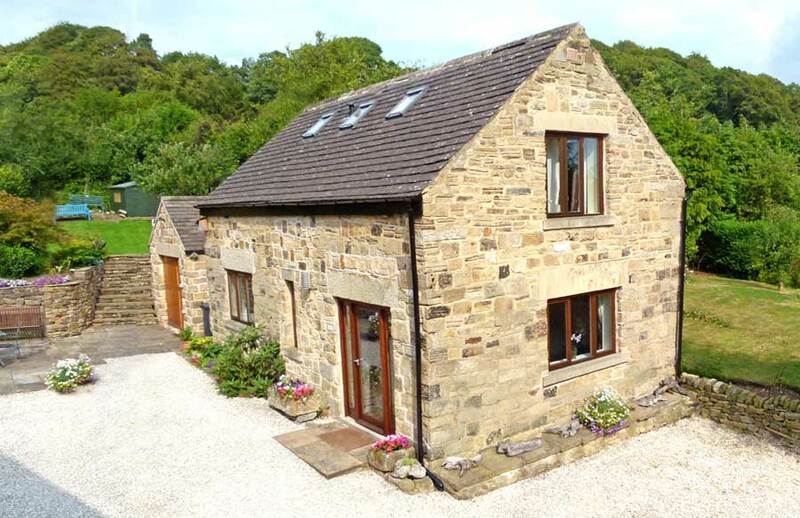 Tick Tock Cottage is surrounded by magnificent Peak District countryside, which it shares with abundant wildlife, plants and birds. Whatever your age or interests, whether walking, (many routes from the door), fishing, bird watching, cycling, horse riding, sight seeing, photography or simply enjoying peace and quiet, you will find this a perfect place to take a break. Families (with children of all ages) can enjoy visits to Castleton with the Blue John Caverns and Matlock Bath with its cable cars and Gulliver's Kingdom are about 20 - 30 minutes drive. Alton Towers is about a one hour drive.